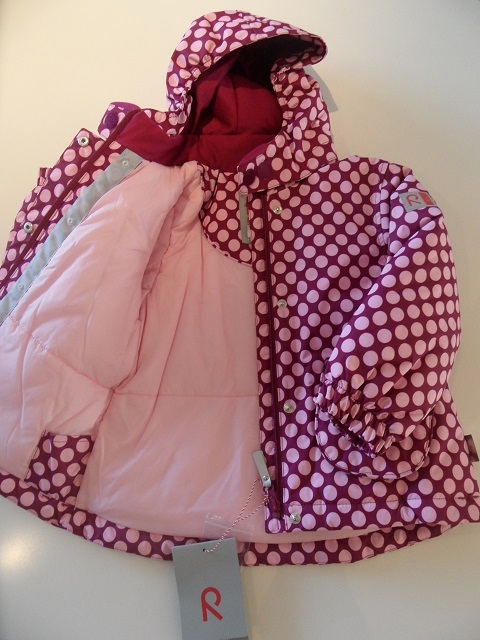 When I was recently asked to review some Reima winter jackets for children, timing could not have been better. The glacial bise had already started to blow mercilessly and I’d been wondering how best to equip my little ones for the winter ahead. 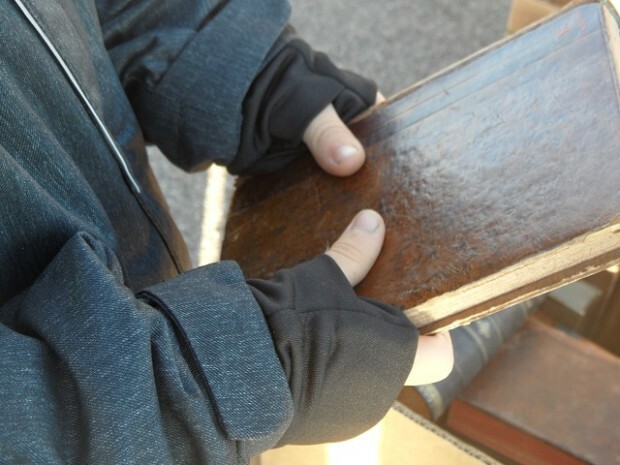 The only problem was finding something that would keep them snug & warm AND that they actually wanted to wear! This is no mean feat as my eldest boy is 8 going on 13 and has recently decided that any item of clothing sporting a Spiderman/Carz/Toy Story/Star Wars design (delete as appropriate) “is for babies”, while my Little Missy is a proper tomboy, an unstoppable force of nature with a penchant for pink & girlie hues. 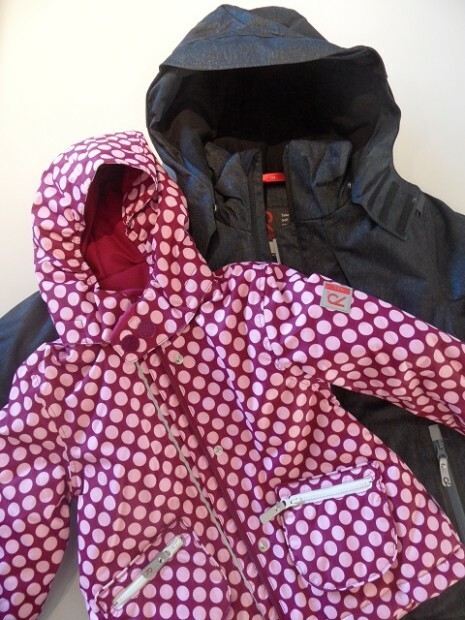 So, when I received the Brody R-tec+ Jacket in grey melange and the Minnie R-tec Jacket in boysenberry, I was overjoyed to see that both my kids put them on immediately without fussing, and even declared them to be “très cool”! 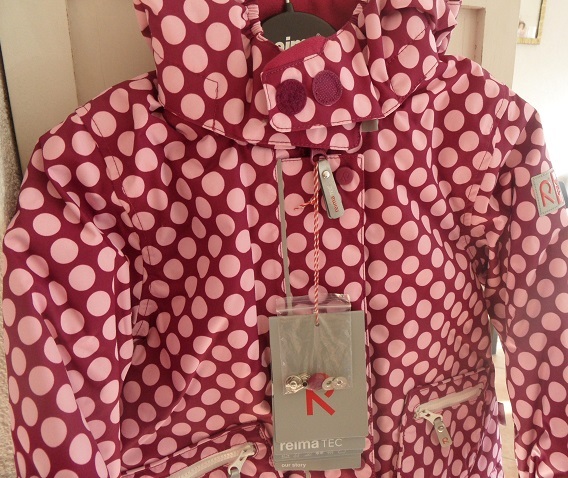 I was already familiar with the Reima kidswear brand from Finland and its reputation for excellent quality & durability, but I was blown away by the sheer understated elegance of its perfect cuts, its wearability (which is paramount when it comes to pleasing children!) and superb attention to detail. 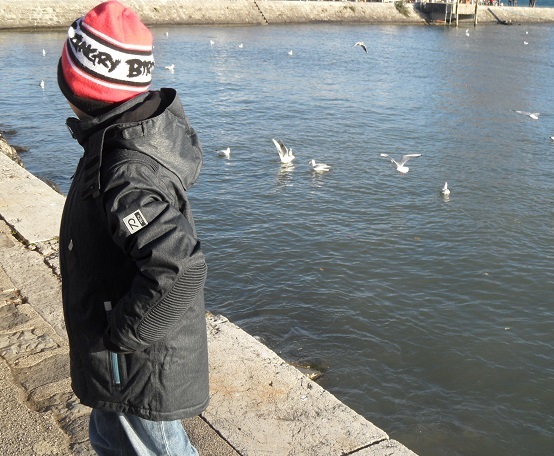 My boy was chuffed that his jacket looked very much like those the “older boys” wear, while at the same time being very comfy and practical for all his outdoor adventures. 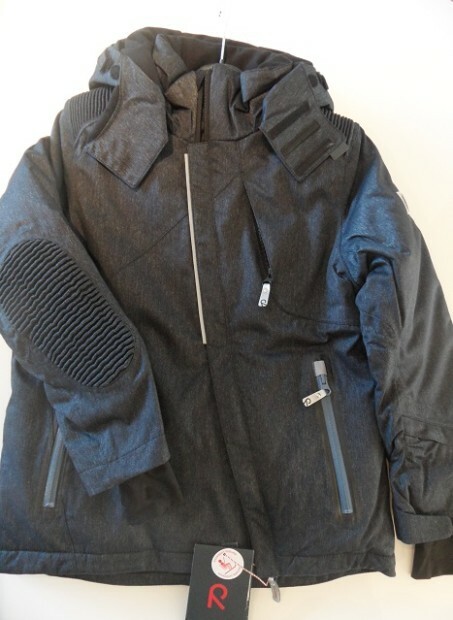 I, on my part, was delighted to verify that this breathable, waterproof jacket featured great details such as stretch panels on shoulders and elbows, waterproof zippers, flat no-scratch velcros, waist snow-lock and lycra cuffs which make it perfect for a day on the slopes as well as a day-out in the city. 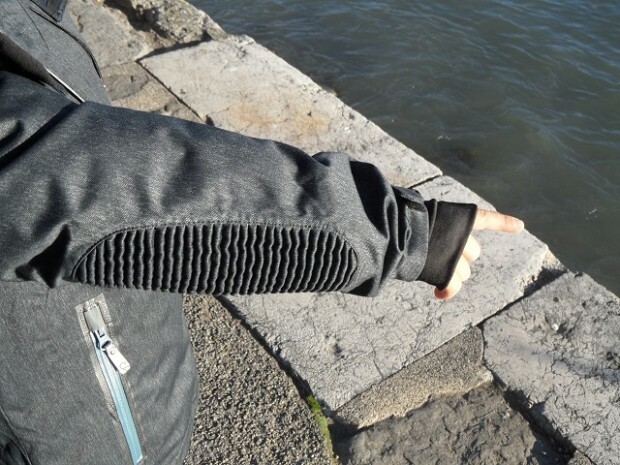 The ski slopes at St-Cergue haven’t opened yet so we took the Brody R-tec+ Jacket for a bit of a “test-drive” out on the Nyon lakefront, when the sun was out but so was the much-dreaded bise wind. 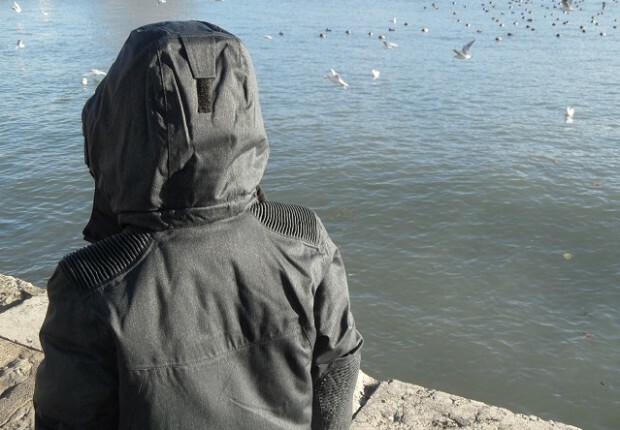 My little man & I were very happy that the jacket came with lycra cuffs to keep his hands & arms safe from the cold – the adjustable hood was a very powerful defense too! 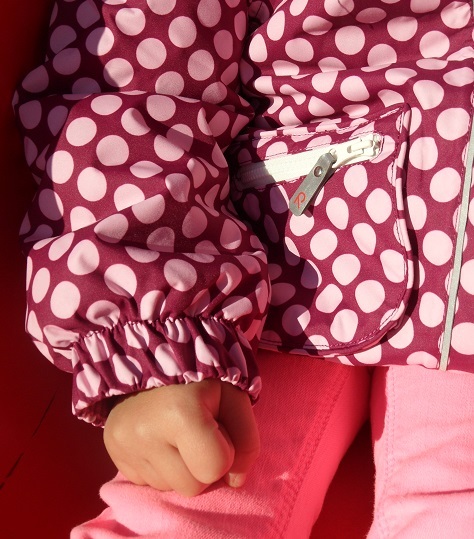 This waterproof and breathable winter jacket with cheerful polka dot print pattern and cute, rounded pockets just passed my Little Missy’s test with flying colours. As soon as I got it out of the box, she just couldn’t wait to put it on run outside for one of her “little rascal” missions! 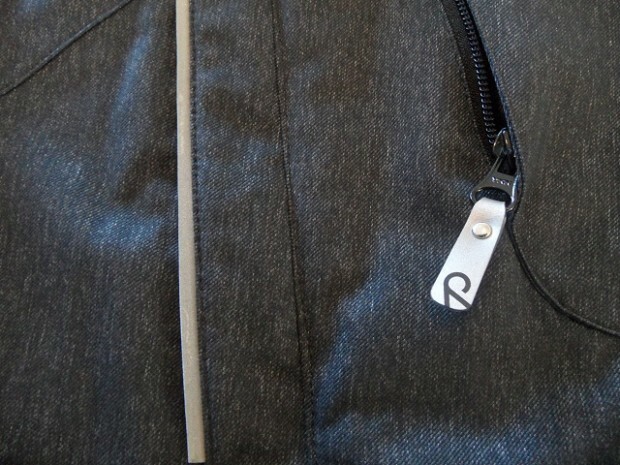 The Reima Play Layers snap buttons also allow mid layer garments to be attached to the cover layer, thus providing perfect protection from the wind & the cold. 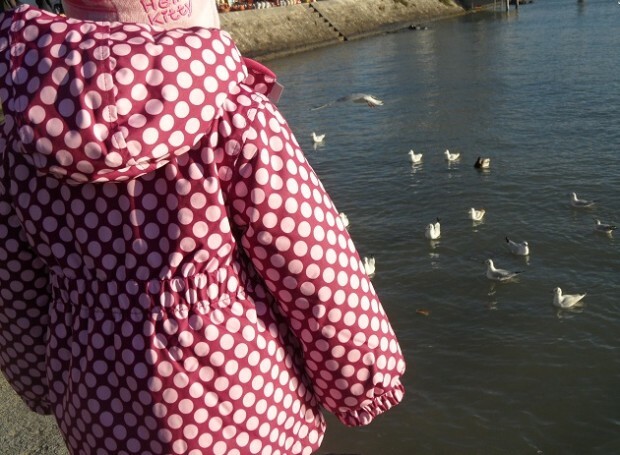 I was pleasantly surprised by the Minnie R-tec Jacket very sartorial cut and gathered waist, which made it well-fitted & easy-to-wear for my Little Missy (as she is quite petite, puffer jackets usually swamp her & she hates wearing them). 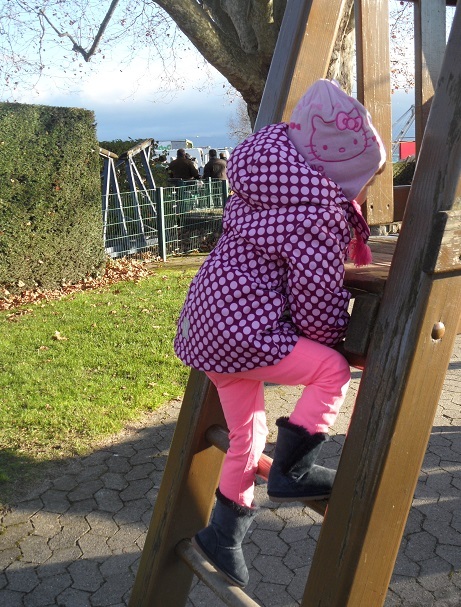 On the contrary she was so comfortable wearing the Minnie Reima jacket that she didn’t stop for a second & truly made the most of our afternoon in the playground. 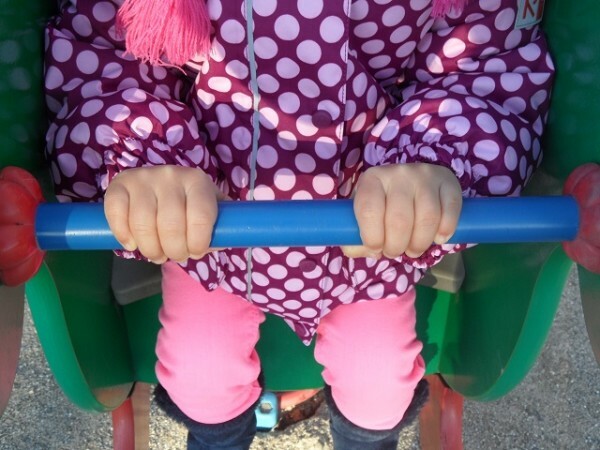 The boysenberry colour also went brilliantly with her fluo pink GAP skinnies & Benetton boots, who said tomboy can’t be hip?! 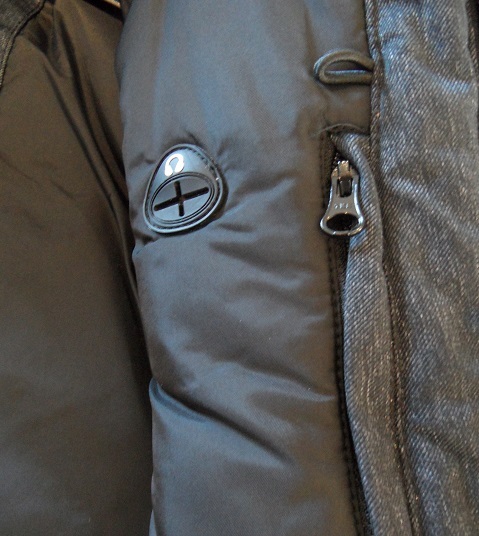 The Reima Brody R-tec+ Jacket comes in grey melange; sizes 98 to 164 and retails at 229CHF. 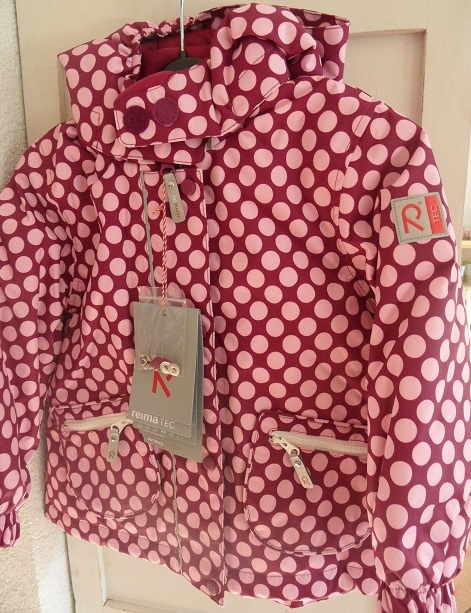 The Reima Minnie R-tec Jacket comes in ochre yellow, cherry pink & boysenberry; sizes 74-98 and retails at 119CHF. 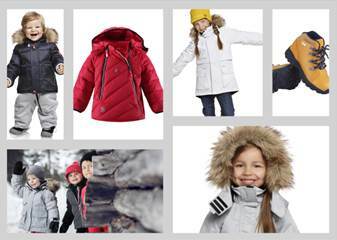 For a list of Reima Kidswear retailers in the Geneva, Vaud & Lausanne area click here. 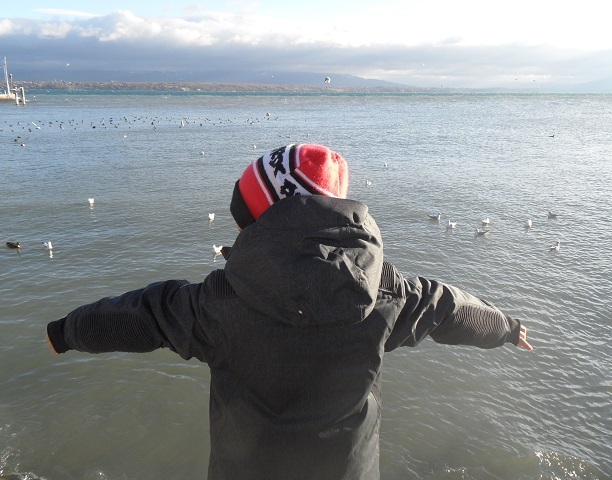 You can also purchase the Reima products online from Kidsdream.ch (the website is in German). 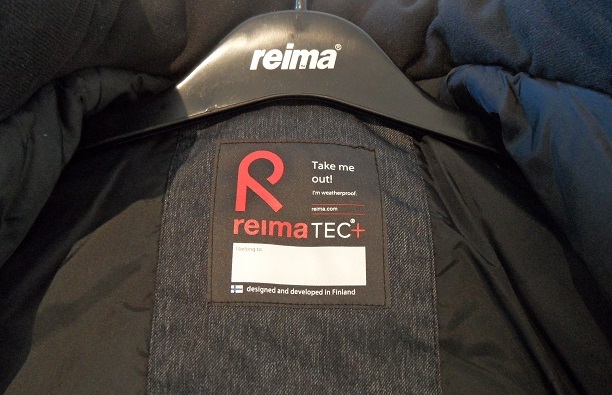 Visit the official Reima website for full details on their products (including skiwear & rainproof garments), design philosophy & latest collections. Thank you for your post! 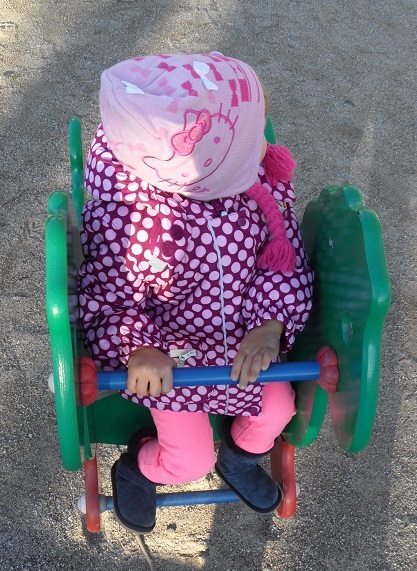 We moved from Finland 2 years ago and we need to renew our kid’s clothes. And nothing that we saw so far in the shops here compare to Reima. 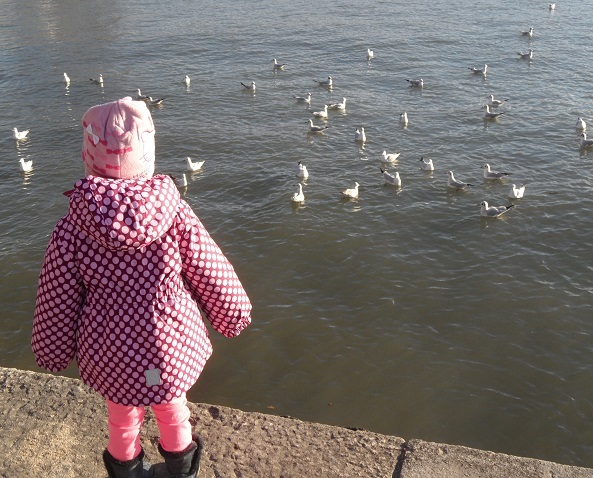 Do you have any idea where we can find Reima clothes in Switzerland/France? Or online?